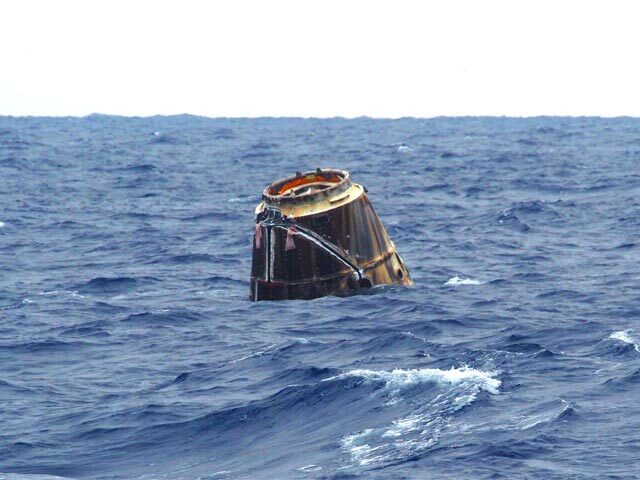 Dragon in the water off Baja California after a successful flight! 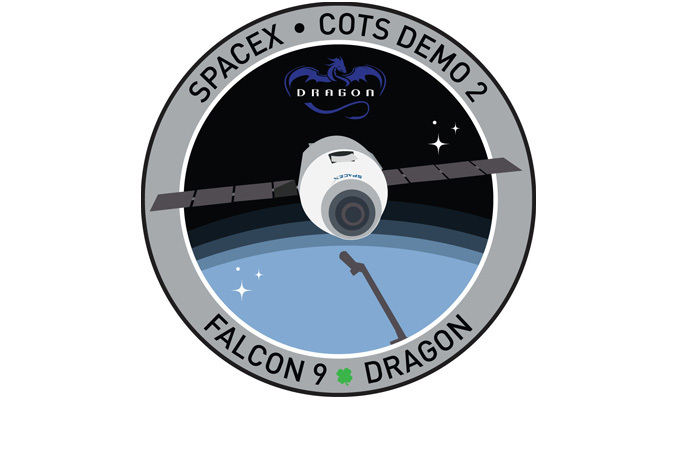 The SpaceX Dragon COTS-2 demonstration mission is now complete, with a successful landing of the Dragon of the coast of Baja California this morning. I’ve said a lot about this mission already. This last successful leg of the mission demonstrates something no other spacecraft, built for commercial or government use, can do – it can fly to the ISS, dock with it, and return safely to Earth unmanned. All the other cargo ships currently available burn up on re-entry. None of them can return cargo to the Earth except the manned Soyuz. I can’t say enough good about SpaceX and its vision. This is what I’ve been hoping for since probably 1980! Now let’s get Dragon Rider up there! I’m no union activist. I belonged to IEA/NEA because I was required to. (OK, there was that “fair share” clause, which meant I would pay essentially the same as the union dues while receiving none of the benefits. Clever.) I also just as a rule hate the idea of lobbyists. I know that some of them provide a useful function. Both at the state and federal levels, lawmakers and their staffs do not have the time, resources or expertise to know everything about every issue before them. However, lobbyists come with baggage – they are obviously attempting to influence the content of law as it is written. I may be softening my opinion on lobbyists somewhat. “Of course, now it affects you! Hypocrite!” you say. And, to an extent, you’re right. I’m finding out as this “pension reform” bill gets bounced around the Illinois state legislature that not only are those whom we elected to represent us unable to know everything concerning decisions they are making, but that they are making those decisions based on how they will look for upcoming elections, not on what is good for the citizenry. Unfortunately, that’s not true for everyone. In fact, I’d lean toward saying that there are many of our duly elected representatives who do not have our best interests at heart. I know, another revelation! At the risk of going on too much about this, here’s a case in point: The Illinois “pension reform” bill included a clause that would shift the cost of the teachers’ retirement system to the local school districts, therefore shifting the costs to the local taxpayers. Note that we wouldn’t see a decrease in our state taxes – so this is an additional tax, and depending upon how much a district pays its teachers, the increase in property taxes could be large. In the “collar” counties we have a”tax cap” – property taxes can only be raised by so much by law. If the cost of the new retirement payments causes the budget of the district to exceed the capped amount, something else gets cut. And the property tax payers hate teachers even more. Removing this clause was a sticking point, with the Democrats wanting it included, and the Republicans wanting it out. If it’s in, it will be unpopular with the voters. If it’s gone, where is the money to fund the system coming from? I’m waiting to hear if the bill comes out of committee this morning. I don’t know what else we can do to influence the outcome here. It sounds like “looking good” to the voters is far more important than actually getting a real solution. I’m afraid that the lobbyists are our only hope. I never wanted that to happen, but it’s all we’ve got! I actually live in Rep. Bellock’s district, and I have emailed her and my Senator, Kirk Dillard. I am a recently-retired teacher from Hinsdale Township High School District 86. I am writing to you to add my voice to those who are urging you to abandon this pension “reform” bill and start over in a reasonable manner, instead of trying to push something through on the last day of the legislative session. I am not a “union activist” – in fact, if I was not required to be a member of IEA/NEA I probably would not have done so. I generally dislike the influence of lobbyists both in Springfield and in Washington. However, I do not know of any other way to let our representatives know that this entire pension reform process seems to be flawed. Obviously, no state legislator will admit that the reason for the pension problem today is that the state has not funded the pension systems as required by the Illinois Constitution. Now the day of reckoning seems to be at hand, and the Governor is trying to find a way to cover the shortfalls without doing what was legal and required in the first place. It’s difficult for me, and for others, to “feel the pain” of the state government when spending money they did not have caused the problem. If I overspend my income, I cannot go to the taxpayers for more money, no matter how good the reasons for my expenditures. Many taxpayers today find it hard to understand why the state and federal governments refuse to live within their means. Back to the issue at hand: any solution to this “crisis” needs to follow the Pension Clause in the Illinois Constitution. It also needs to be done in a manner that demonstrates that our representatives are thoughtful stewards of our tax dollars, not merely politicians most interested in their re-election and handing out largesse to their constituents to buy votes. Please take the “high road” on this issue – please do not push this reform bill, in whatever form it takes at the moment, through the legislature today. The Governor is most interested in looking good, not in finding a reasonable solution. I appeal to you as a reasonable man and a true representative not only of your district but of Illinois citizens in general, since you are the person who has the ability to determine the outcome of this process. So we’ll see what happens. I hate this feeling of powerlessness! You are currently browsing the The Old Gray Cat blog archives for the day Thursday, May 31st, 2012.